Treat your loved one with respect and dignity by assuring that your loved one never leaves our care. We invite you to come tour our on-site crematory any time. 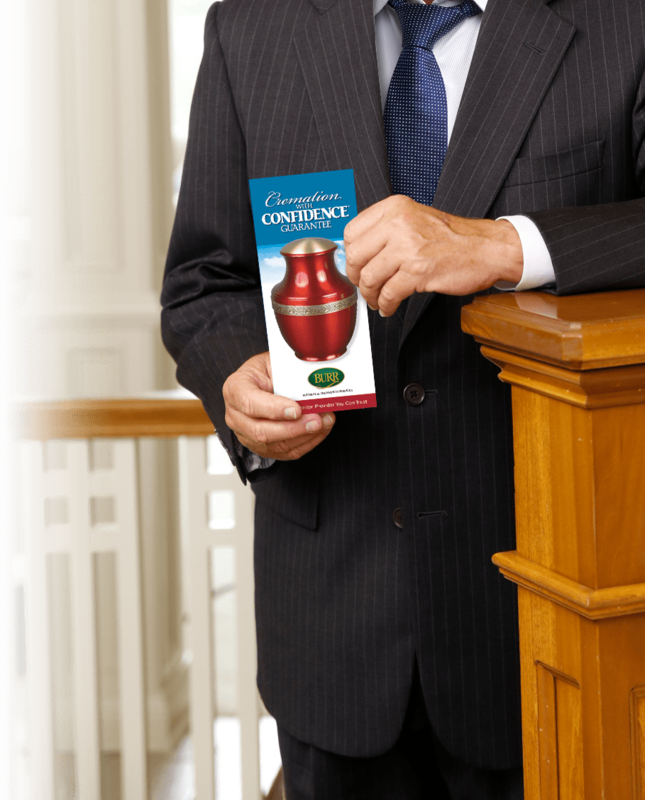 Reach out to Burr Funeral Home and Cremation Service to learn more about our cremation services. Checks and balances to ensure correct paperwork. Immediately prior to the cremation process, your loved one is taken to the cremation chamber and their personal identification is noted in our cremation log book. This log shows the name of the individual, date and time of the cremation, identification number and crematory operator’s name. Our crematory log is dated and the start time is noted and initialed by a cremation technician before and after the cremation. After the cremation is complete, the cremated remains are placed with the stainless steel identification tag into an urn. The identification card is placed into our permanent files.